Imagine you have just been pulled over by a police officer. He informs you that he just witnessed you driving at over fifteen miles over over the speed limit. You provide the officer with your license and registration and he writes you a ticket. You are about to get on your way when the police officer asks to search your car. Do you have to consent? 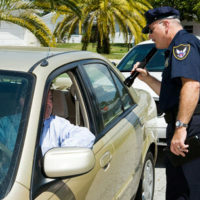 Under Florida law, a police officer generally can only search a car without the driver’s consent if two elements are met: 1) if the officer has probable cause to believe the car has some contraband or drugs; or 2) someone in the car is arrested and the the search of the car is performed “incident to the arrest.” It is important for drivers to realize that these elements mean that a police officer will not be able to search their car if they do not consent. The probable cause requirement means that the officer must either have some reason to believe there is drug or contraband in the car (such as being able to smell it or seeing a bong or other drug-related items) or the drug or contraband must be in plain view. For drugs or contraband to be considered in “plain view”, the officer must be able to see the item from his position outside the vehicle. In general, for a search to be “incident to the arrest,” the person who is arrested must be in the car’s immediate area (not in the back of the police car), unsecured (not restrained by handcuffs), and within the immediate reach and control of the passenger when the car is searched. This means that if you are arrested and placed out of reach of your car, you do not need to consent to a police searching your car, nor does the police officer have the authority to search it. You do not have to feel pressured to consent to a search if an officer asks. Florida courts have found that consent is only valid where it is freely and voluntarily given. You can merely decline the search politely and if one of the two elements described above are not met, the officer will not be able to stop you any longer. However, even if you inform the officer that you do not consent to the search and one of the two elements are not present, an officer may still conduct an illegal search of your car. In this instance, you should contact an experienced criminal defense attorney to help you understand your rights and object to the illegal search. Asking to have your car searched is a scary and intimidating situation. 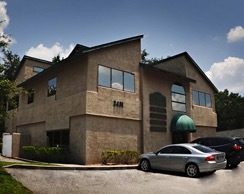 If you believe you were subject to an illegal car search after being pulled over for a traffic citation or DUI, the experienced Winter Park criminal defense attorneys at Cotter & Zelman, P.A. can help you go through what happened and determine if your car was searched illegally. Contact us today for a free evaluation.